In a move that surprised very few, Amazon launched its first flagship smartphone during a press event on Wednesday. Here are some of the highlights. Here, Amazon CEO Jeff Bezos shows off the Fire Phone and launches into some of its specs: The Fire Phone features Gorilla Glass 3 on both sides, along with a 4.7-inch LCD screen. 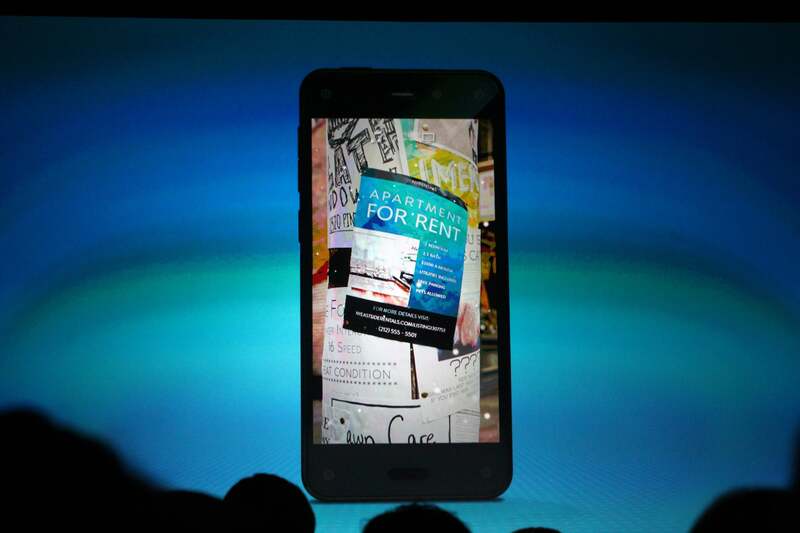 Rumors that Amazon’s smartphone would have a 3D display were quickly squashed, but the Fire Phone’s Dynamic Perspective certainly won’t disappoint. Images on the Fire Phone’s screen move as you jiggle the phone around, and custom lock screens show off the Dynamic Perspective effect. 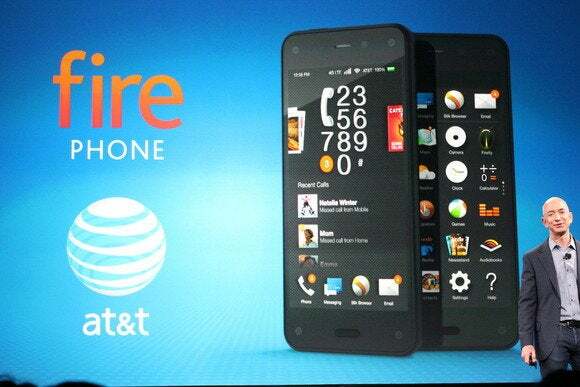 Amazon’s Fire Phone will be available exclusively through AT&T, and the 32GB model will cost $199 with a two-year contract. You can preorder it now, with the phone arriving on July 25. Because this is an Amazon product, the Fire Phone comes equipped with something called Firefly, a scanning service that can recognize products, DVD and book covers, CDs, games, and barcodes. 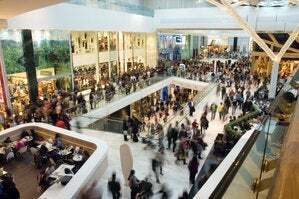 You’ll be able to point your phone at almost anything, scan it, and quickly identify it in Amazon’s massive product database. 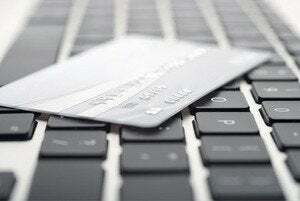 For, you know, discovery purposes... and perhaps a bit of impulse shopping. 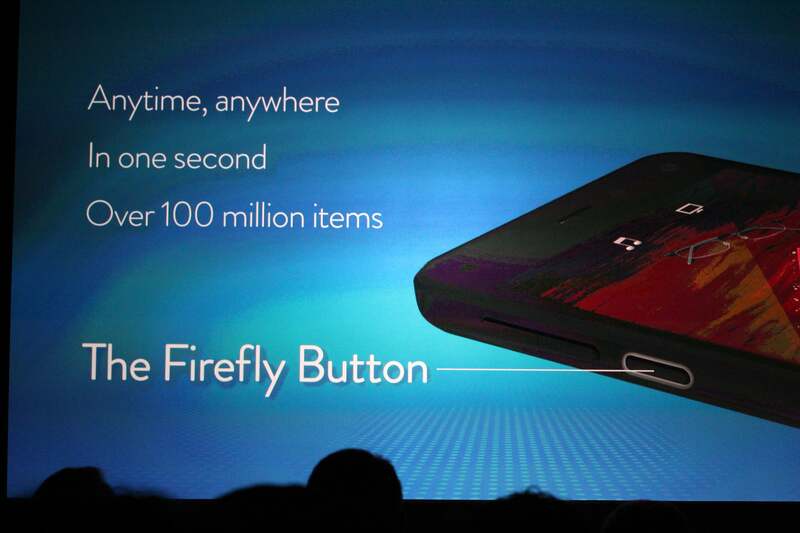 The Fire Phone includes a dedicated Firefly button so you can use the feature even if your phone is locked. 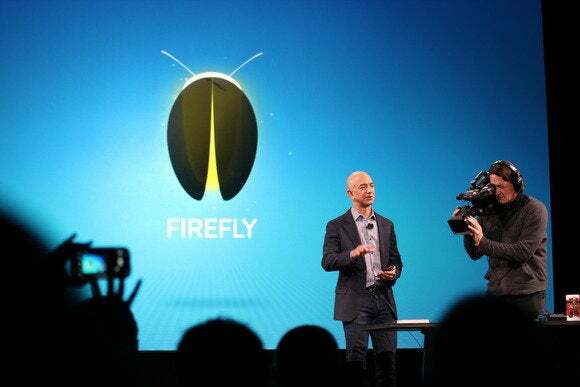 Firefly also boasts the ability to identify music—similar to the Shazam app—and includes track listings and lyrics for a wide range of songs. 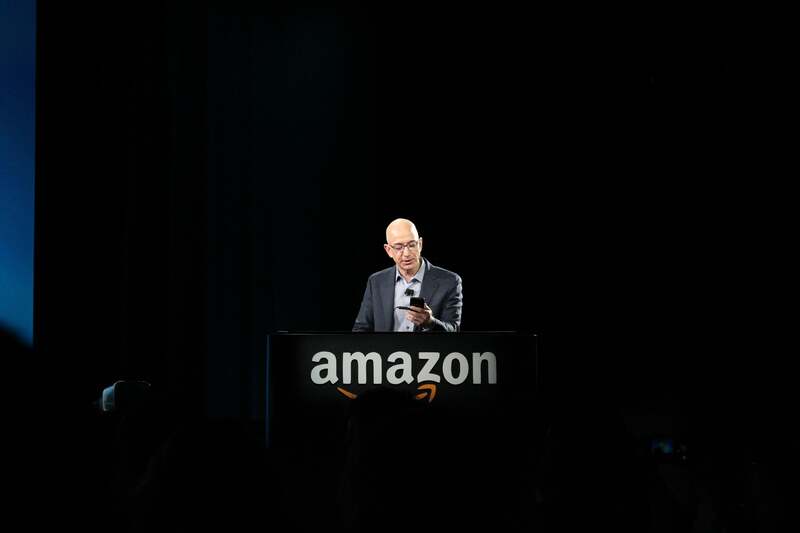 Maybe the timing of the debut of Amazon Prime’s music streaming service isn’t such a mystery now. Buying an Amazon phone means instant access to Amazon content. 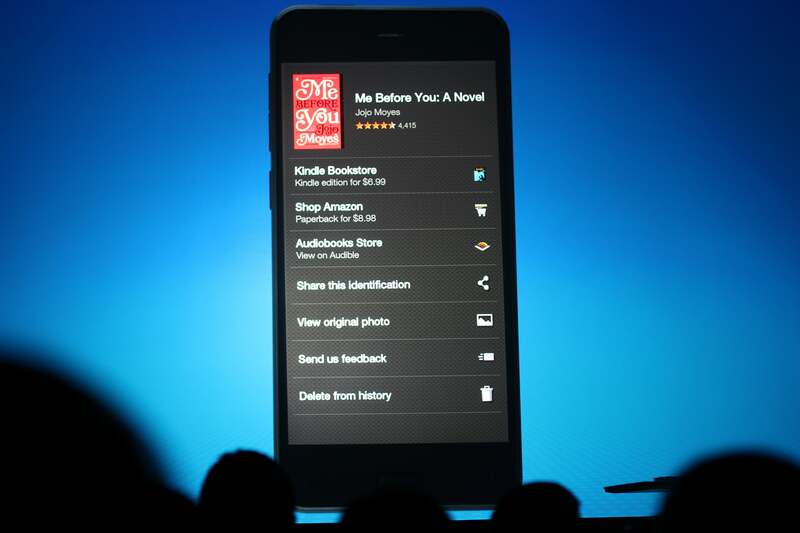 The Fire Phone pairs directly with the Kindle Store for buying books as well as the Kindle Owners’ Lending Library, in which Amazon Prime members can share books. 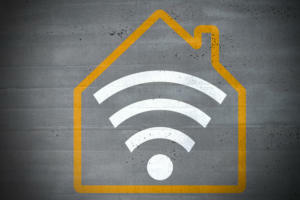 The phone will also have access to hundreds of magazines and newspapers as well as Amazon’s recently purchased Comixology digital comics reader and storefront. 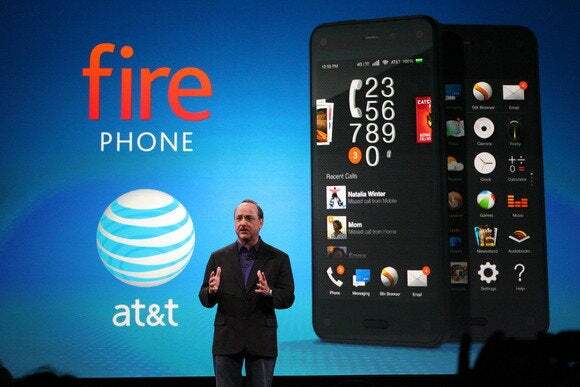 For a limited time, the Fire Phone comes with a full year of Amazon Prime service (which normally costs $99 a year). 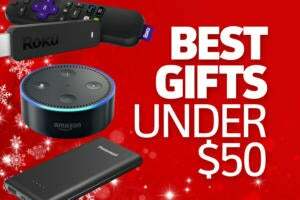 With Amazon Prime, subscribers have access to a wide range of streaming content and free shipping through Amazon, along with some other perks. Other noteable features of the Fire Phone: It has a rubberized frame and aluminum buttons, a 13 megapixel camera, access to unlimited cloud photo storage via Amazon Cloud Drive, and an adaptation of the Fire TV’s ASAP feature that uses predictive caching and prebuffering for streams that start instantly. 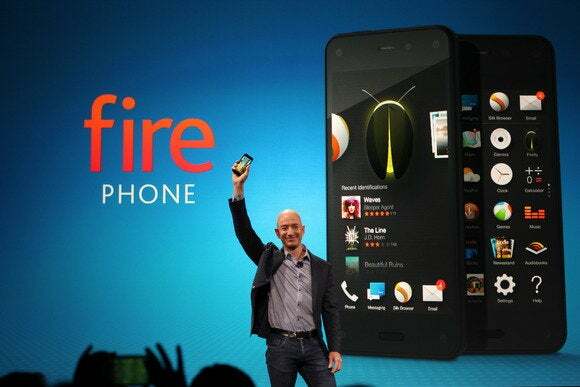 It will run Fire OS 3.5.0—Amazon's specialized version of Android—with access to hundreds of thousands of apps via the Amazon Appstore. 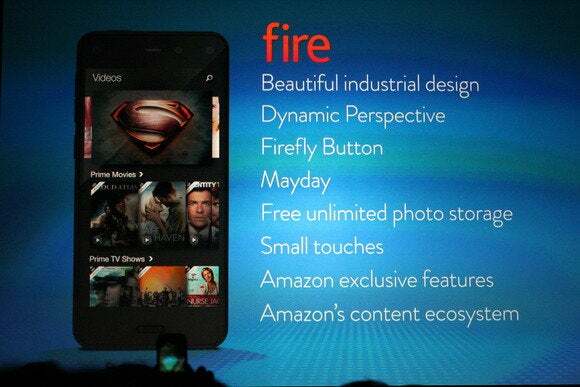 The Mayday customer service feature—a popular addition to the Kindle Fire HDX tablet—makes its way over to the Fire Phone as well. It’ll be a free feature with 24-hour support and—Bezos added in a clear dig at Apple’s Genius Bar—no need to make appointments or go to a store. President and CEO of AT&T Mobility Ralph de la Vega joined Bezos on stage. Another great feature of Mayday is that it works with AT&T, too. 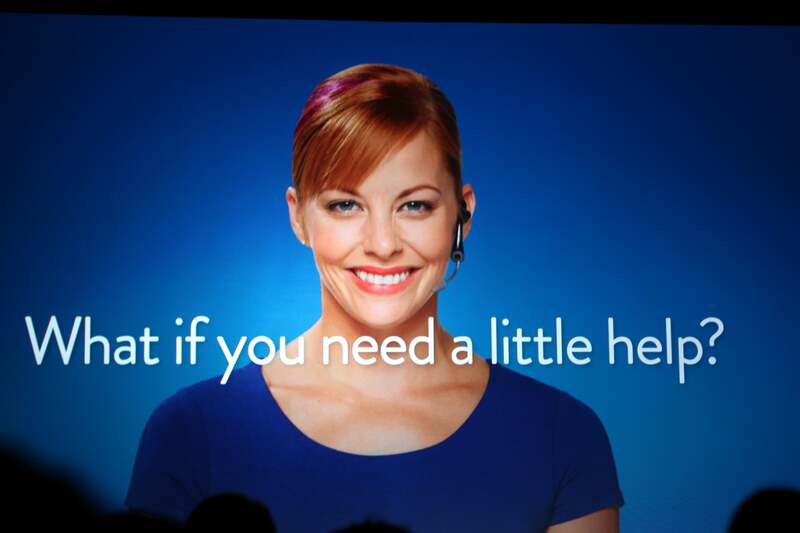 If you have a problem with your AT&T service, Mayday will take you to AT&T’s tech support.